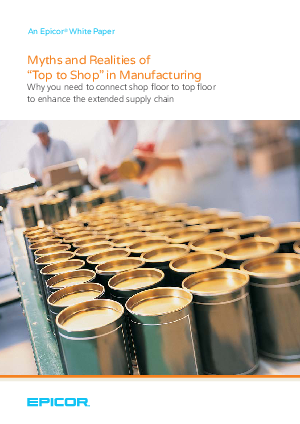 Making the connection from top floor to shop floor, and back again, can seem overwhelming. Like any strategic goal, it requires senior management commitment, together with motivating and mobilizing everyone and everything throughout the organization in the same direction. Without this level of commitment, informations silos flourish.